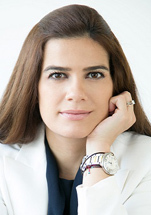 Natasa Pilides is the Director General of Invest Cyprus, and has the overall responsibility of implementing the Organisation’s mandate and strategy in close cooperation with the Board of Directors. Before assuming her duties at Invest Cyprus, Natasa was a Director and Regional Chief Operating Officer at Baker Tilly South East Europe, for Cyprus, Greece, Romania, Bulgaria and Moldova. Natasa's prior work experience includes 9 years at PwC in Cyprus, Milan and London, during which she worked in audit and international tax with clients in the financial services and energy sectors. She also has years of experience in training professional staff and ICAEW, ACCA and CIMA students. Natasa graduated from Oxford University with a first class honours degree in Modern Languages and Literature. She is a member of the Institute of Chartered Accountants of England and Wales (ICAEW) and the Institute of Certified Public Accountants of Cyprus (ICPAC).